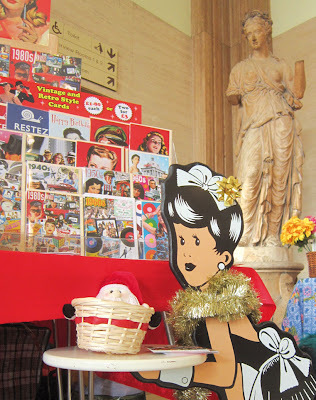 WOW, had a great day at TRULY MADLY VINTAGE's Vintage & Handmade Market yesterday! 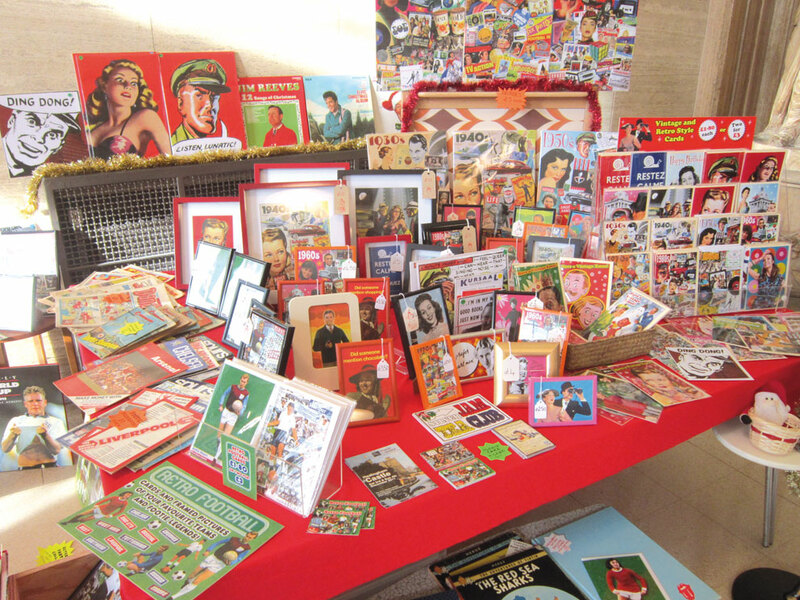 Thanks to everyone who came along to Shire Hall in Chelmsford to say hello and have a browse!! And of course thanks for buying something, what great taste you all have!!! I had such a great space for my stall, all in lovely, elegant surroundings. I was able to display everything, including my little sideline of retro books, comics and footie programmes. All of which proved a bit hit! 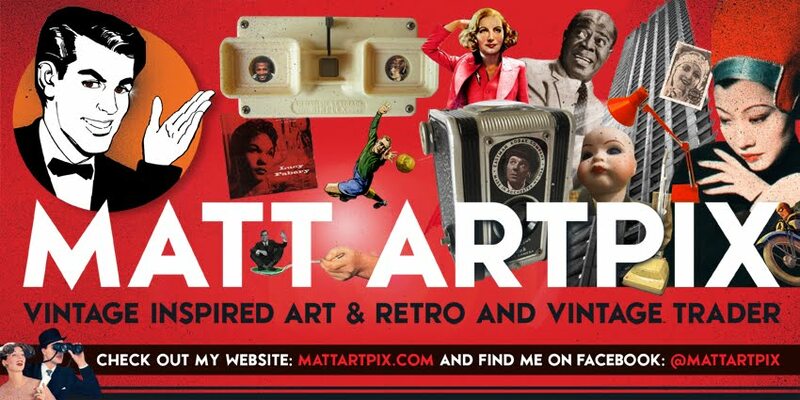 My Retro Football range did very well and I even sold one to the sister-in law of a very famous ex-West Ham player and manager! Very pleased to say my new 1980s collage was very popular as well, all that hard work paid off in the end! 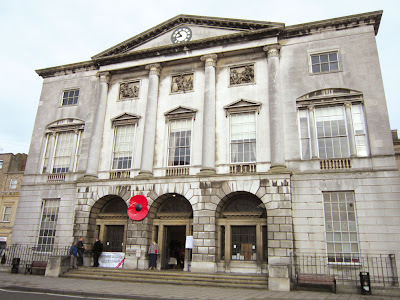 The Georgian magnificence of Shire Hall! The early morning light rushes in as preparations are in full swing! Here is the impressive space for the stall! My usual packed stall, this time with those retro comics, books and programmes! Mavis on hand to help, as the impressive statue looks on! So that's the first of my dates finished, now onto HEDINGHAM CASTLE next weekend!! Keep a lookout for more info! Just a gentle reminder that this Saturday I will be at TRULY MADLY VINTAGE's Vintage & Handmade Market at Shire Hall in Chelmsford! Kick-off is at 10am, so rush along for some vintage fun. 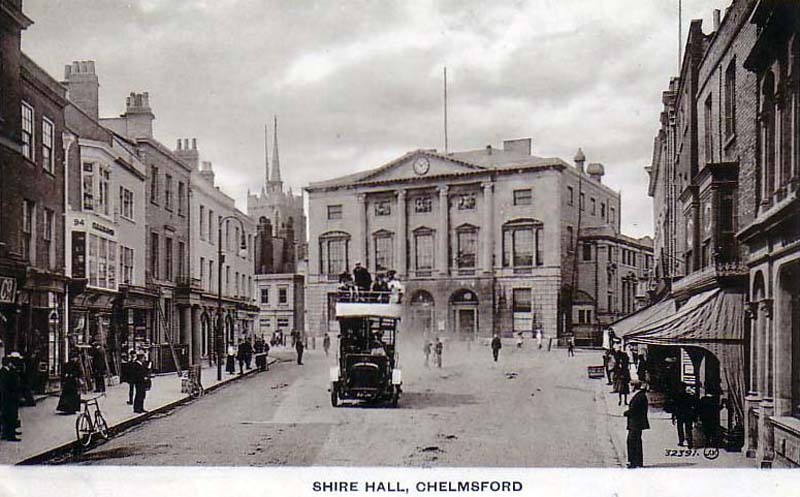 You will find this amazing venue on Chelmsford's High Street. 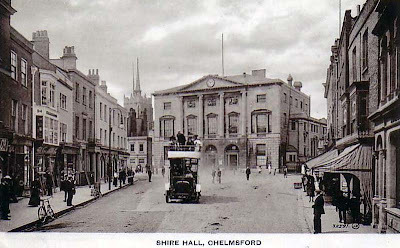 A lovely old photo of the Hall. Standing room only on that bus! A handy map for you, showing Chelmsford. The Hall is at top of the High Street. I'll be stocking my new Christmas cards, the Dazzling Decades series, all your retro favourites and of course the ever popular Retro Football range! I also have a few surprises, including an amazing book signed by footie legend JIMMY GREAVES!!! This is the first of 4 dates I have coming up, so plenty of chances to get those Christmas pressies!! 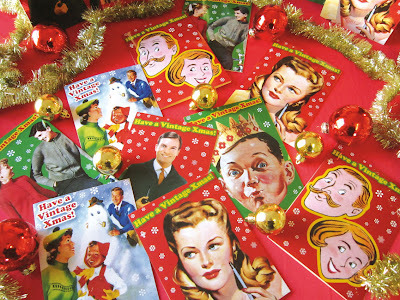 It's nearing that time again when we have to root out the address book and send those Christmas cards! A cornucopia of Christmas fun here! A closer look at the all new range! Lucky you, they are already on sale at the retro sweet shop FOREVER SWEET. Just pop along to St Clements Arcade in Leigh-on-Sea to find them! Also, you can find them on my stall at the TRULY MADLY VINTAGE's Vintage & Handmade Market in Chelmsford this Saturday. This year Armistice Day has the unique alignment of the 11th hour of the 11th day of the 11th month of the 11th year. In today's crazy world is it often the simplest things that are the most important and poignant. So at 11am I'll be at the Cenotaph at Whitehall in London to pay tribute to all who have fallen. It will never cease to astound me how this part of central London can fall absolutely silent for those two minutes. 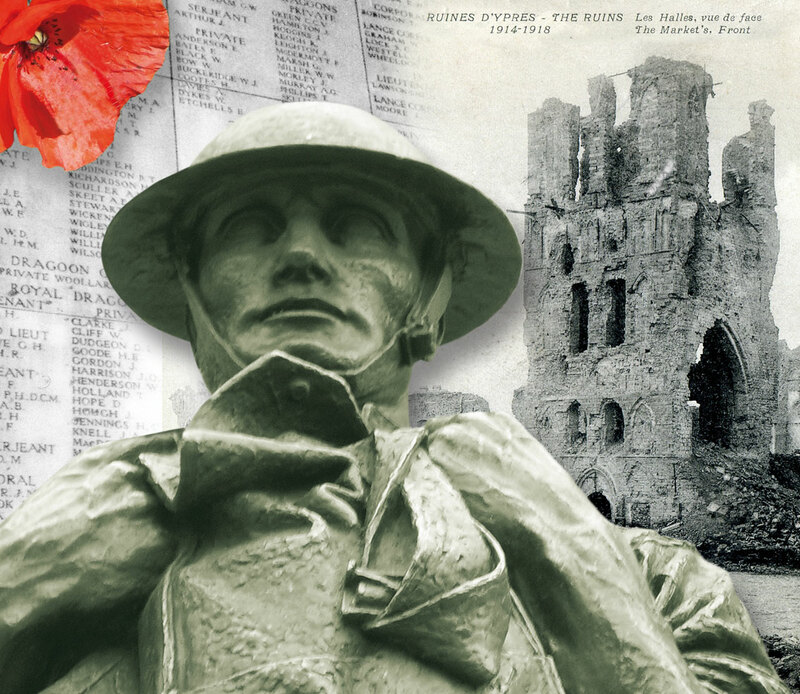 One of my collages commemorating Ypres, featuring my own photos and an old postcard I have of the Cloth Hall. This year it will resonate even more as we now know of a family member who was killed in the First World War. 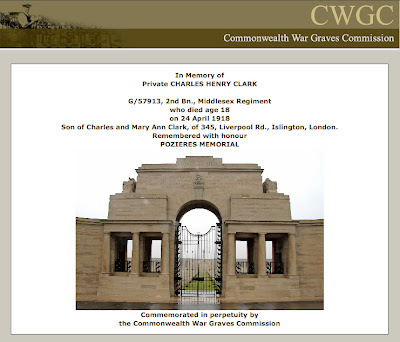 My sister Anita has been researching the family history and discovered a Great Uncle who was killed on the Somme in 1918. As was so often the case, it is of great sadness that not only was he aged only 18 but that he has no known grave. He is commemorated on a panel at Pozières Cemetery, a place I actually visited some years ago. 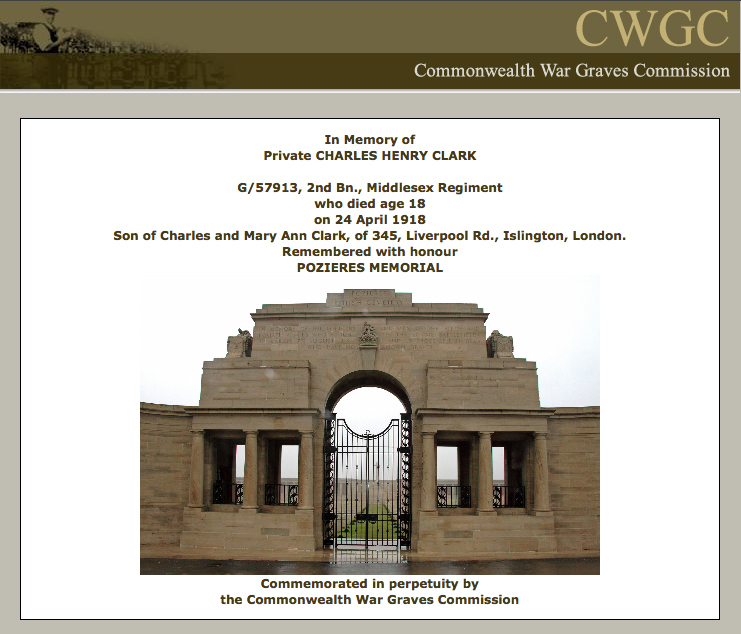 I'll be placing a poppy at the Cenotaph for Charles Clark in remembrance. To finish I would like to give the last word to the best War poet of all, Siegfried Sassoon. His poems still have an immediacy and relevance today. Especially when you read the news and realise the leaders have learnt nothing from history. 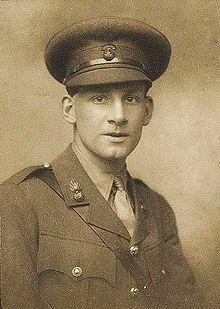 Siegfried Sassoon in May 1915. © George Charles Beresford. Bapaume is the name of a village that the Generals thought would be captured on the 1st day of the Battle of the Somme in 1916. Eight months later it was reached, just after this poem was written. Anyone wanting to read more of Sassoon, should check out poems such as Counter-Attack, Suicide in the Trenches and Aftermath. They really bring home the full horror of the First World War. 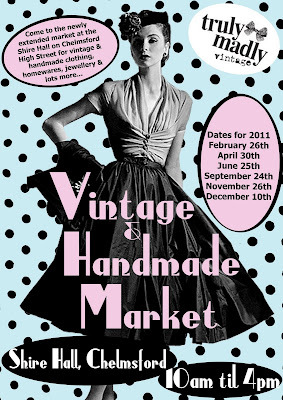 On November 26th I will be at TRULY MADLY VINTAGE's Vintage & Handmade Market in Chelmsford. 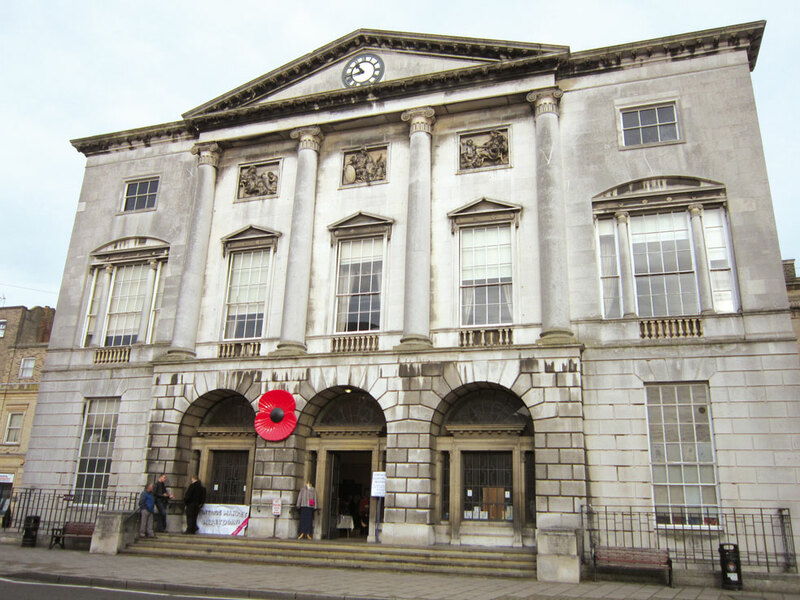 This lovely market is set within the grand Georgian building Shire Hall, right on Chelmsford's High Street. You will find me in the foyer of the building which was sumptuously reworked in the 1930s to become an Art Deco treasure. 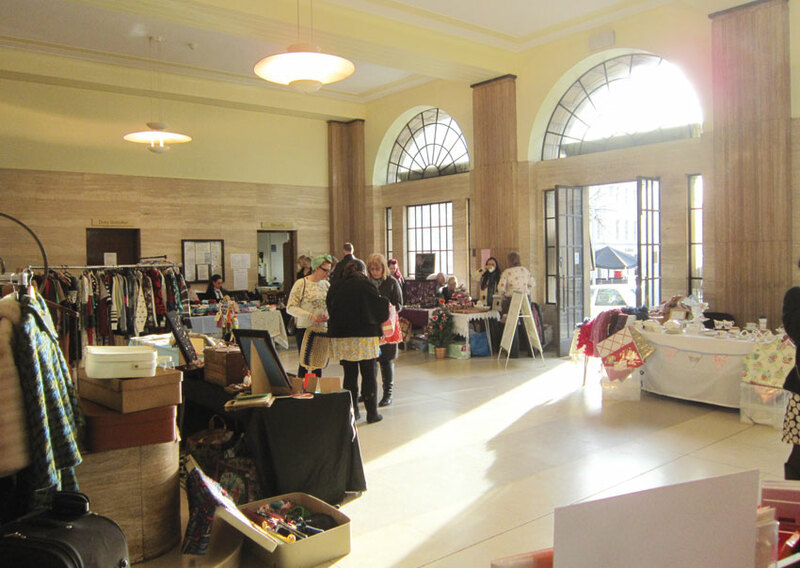 What fantastic surroundings for a vintage market! So come along for some vintage fun! 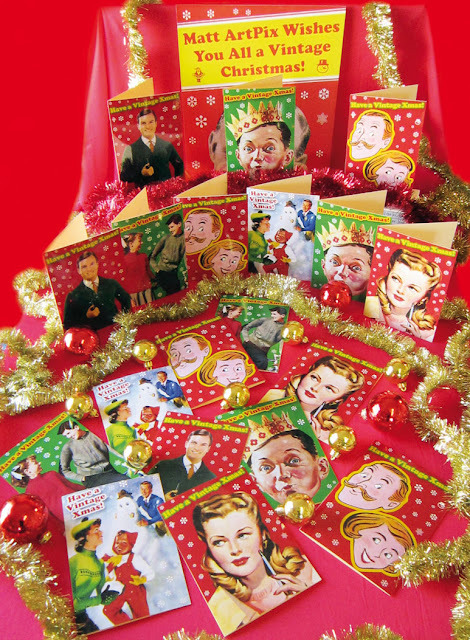 Get all those Christmas presents, have a look at my new range of Christmas cards, then have a gorgeous tea and cake served on vintage china in the tearoom. 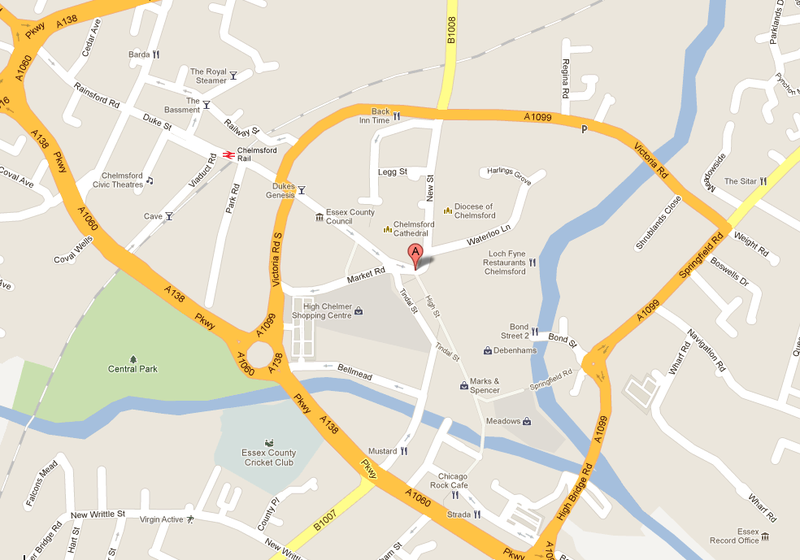 And while you are in Chelmsford don't forget to visit TRULY MADLY VINTAGE's amazing shop. Just a short hop down the road at 173 Moulsham Street. It really is a fabulous place, absolutely packed with vintage items. 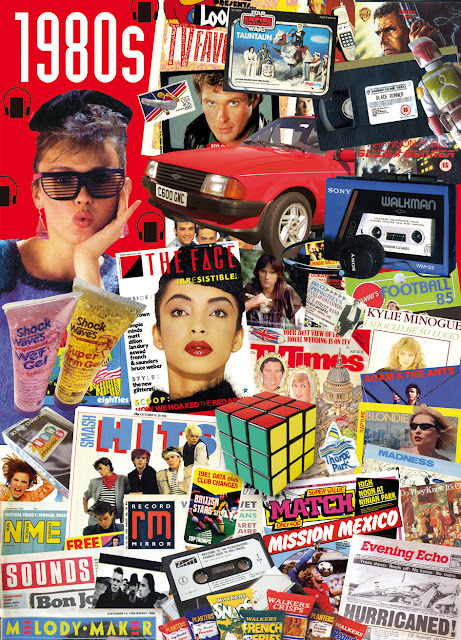 Here it is, the decade that brought you the Rubix Cube, Frankie Goes to Hollywood, the Walkman, The Face magazine, hurricanes and Kylie Minogue!!! It seems like the 80s never went away, the music just keeps on getting more and more popular. So see who you can spot in there, you know you secretly like all those bands!!! The DAZZLING DECADES series is now nearly complete. Next up I'll be flying back to that roaring decade of the 1920s. Or as it is called here: The TIPSY 20s!